There are many security fasteners on the market, and they all have different applications and security levels. Our comprehensive guide to security fasteners will help you navigate the large number of choices in this category, making it easy for you to select the right products. Read on to discover what the different security levels mean and how fasteners are used in correctional facilities, defence buildings, security fencing and public installations like playgrounds and street furniture. Why are Security Fasteners Important? Are Some Security Fasteners More Secure than Others? Not all security fasteners are made equal, and some are more secure than others – this is due to the availability of tooling for removal of the fasteners. It is easy to purchase common security bits in hardware and auto shops, but those types of fastener only offer low security. The level of security will make all the difference in how effective they are, and there are three levels to look out for. It’s vital to use the correct security fasteners in prisons. Items with an internal drive recess should be avoided, because an external drive makes it harder for inmates to tamper with or remove the fasteners. Self tapping screws and machine screws are used on door hardware, kick plates and air conditioning registers. Items such as beds, desks and chairs are often fixed into concrete panels or core-filled blocks. Prison fencing also requires high security fasteners. 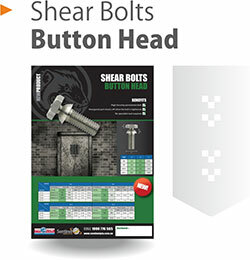 Shear bolts: these high security bolts are non-removable, and can be installed with standard tools. The hexagonal part shears off under the torque, leaving a tamper resistant cone. 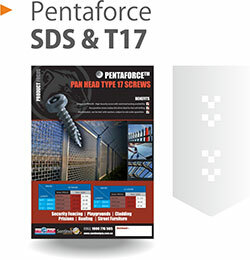 Pentaforce machine screws: these have a 5-sided pentagon recess to stop all standard driver tool shapes. Only registered Pentaforce driver tools can be used for installation and removal. For the entire list of security fasteners used in correctional facilities, download the free PDF “Security Fasteners Made Easy”. Pin Hex self-tappers: these feature a high torque hex drive with chamfer to assist driver tool insertion. They are suitable for screwing into a pre-drilled pilot hole. Two hole self-tappers: the two hole driver system is tamper resistant, and popular for visual effect. These are suitable for screwing into a pre-drilled hole. Security is of the highest importance in defence buildings, as the assets housed in these facilities are necessary to defend our national security. Security fasteners play a significant role in these areas, and are often required on metal clad roofs and walls to prevent undetectable entry and exit. Metal air grilles need to be permanently secured into place, and shear nuts are often used as permanent security fixings on security perimeter fencing. Kinmar permanent self-drilling screws: these non-removable self-drilling screws are designed for metal roofing and cladding installation. They provide maximum security. Kinmar permanent nuts: these are superior to the shear nut, as they leave no unplated surfaces. Driver sockets will only tighten this nut – there is no tool for removal. Scroll nuts: these are a patented, high security nut. Stocked in 30 grade stainless, they can also be custom made in 316 grade. Available in sizes up to M24. For the entire list of security fasteners used in defence buildings, download the free PDF “Security Fasteners Made Easy”. Stellar barrel nuts: their attractive polished finish makes them ideal for high profile locations, and are ideal for clamping wide timber fixtures for a high end look with added security. Resytork barrel nuts: these feature 6 lobe high torque drive with pin to resist tampering, and are internally threaded with metric and imperial options. Fastdrive anchors: these provide hammer-in security for concrete. 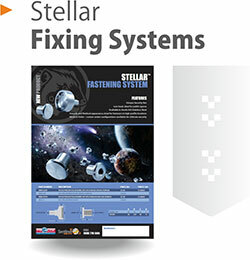 Fast and easy to install with no special tools required, they cannot be removed once applied. 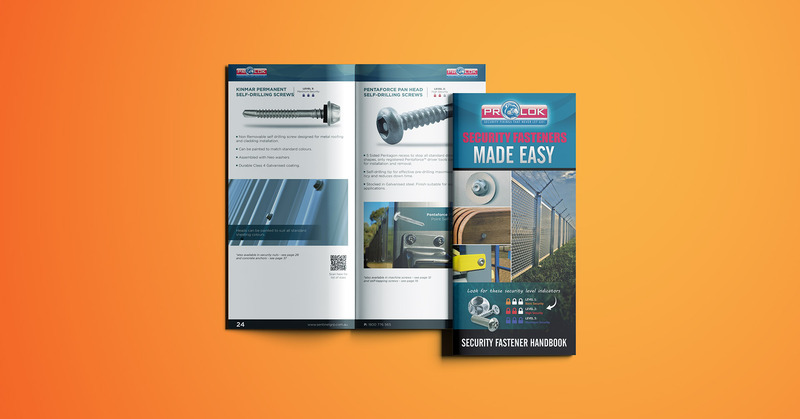 For a more comprehensive guide to fasteners and their applications you can download our free PDF, “Security Fasteners Made Easy”. 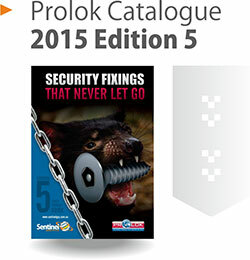 This handbook is your ultimate resource when it comes to understanding security fasteners.